There are several links for Wexford town including Rural Roadrunner Bus Service, Wexford bus, Bus Eireann and Irish Rail. The most popular day for a bus service linking rural areas and Wexford town is Friday. 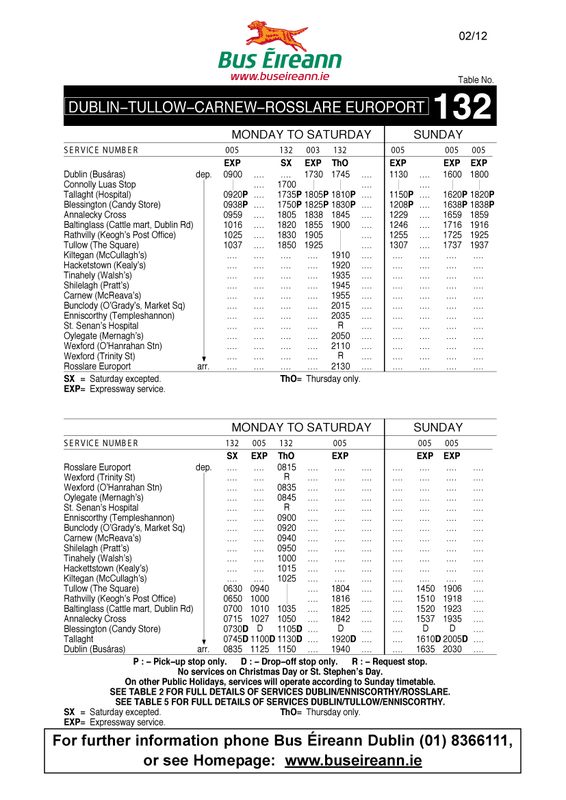 There are frequent bus services between Gorey and Wexford via Enniscorthy each day Monday to Sunday. 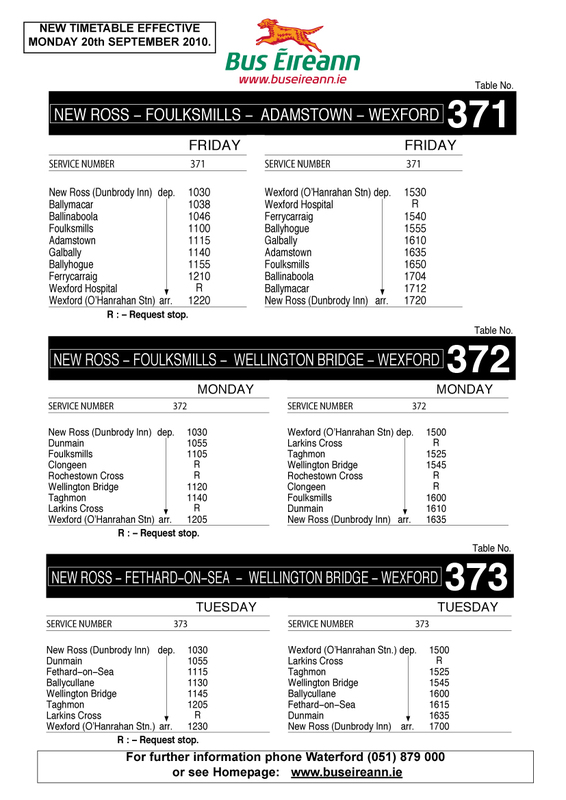 The Friday bus service seems to service morning and returning early afternoon. There are also buses on a Saturday covering, Kilmore Quay, Wellingtonbridge, Gorey, Enniscorthy, Curracloe, Rosslare Strand and Harbour, Adamstown, Murrintown. 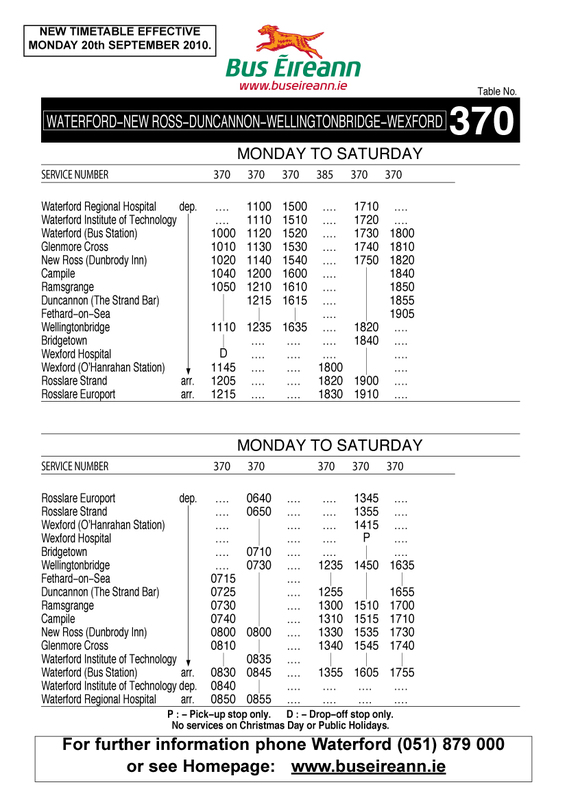 There is also a Monday to Sat service Waterford – Wexford via New Ross. From 05.00 – 19.30 every two hours on the half hour. There is currently no service between Wexford and Castlebridge on Wexford Bus. *This service is not available on Christmas day or public holidays.